The Southern California thermometer nudged up over the 80 degree mark in early March, and the contacts on my Facebook page were all gassed about getting out and grilling a steak. It always amazes me when that first 80-degree day rolls around. The roads to the beaches are clogged, outdoor restaurants can’t get enough tables on the sidewalk and the grills are a-blazin’. It amazes me because, generally speaking, Southern California weather is not too far off the 80-degree mark all winter. Why people in Los Angeles feel they need to be “spared from old man winter” is confounding to me. Sure, Southern California has its share of days when the high temperature doesn’t get out of the 50s. You should hear the complaining then. Folks in Michigan and Vermont and Ohio consider a high in the 50s to be the harbinger of spring. The SoCal beaches are crowded all year, sidewalk tables are always an option and we can pretty much grill anytime we like. Why wait? Even so, after a long winter of fighting off that 60-degree chill with a 65-degree red wine, I have my own little springtime celebration. When that 80-degree mark hits SoCal - while other parts of the country are still having to shovel snow - I like to break out a summer beverage. 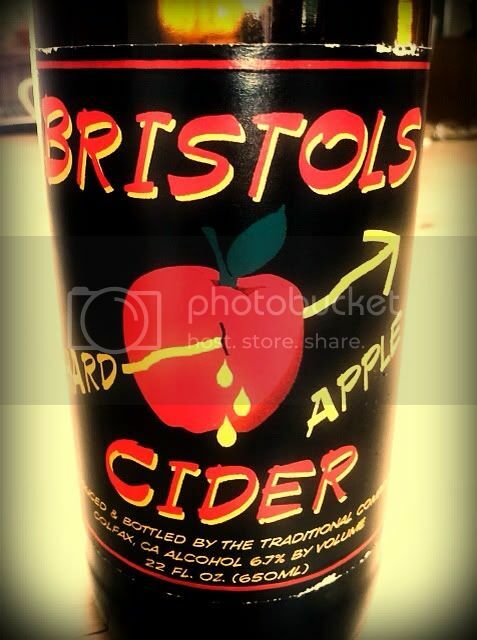 I purchased Bristol’s Hard Apple Cider at the Lone Madrone tasting room in Paso Robles for $12.50 in the summer of 2011, and I understand the cider is sold out now. Credited on the label as being produced and bottled by the Traditional Company of Colfax, California, I couldn't find any info about that organization. The apples come from See Canyon in San Luis Obispo and the cider carries a 6.6% abv number. The bouquet is all apple, all the time. I was a little surprised, since I expected the influence from the oak barrels to be more significant. It’s a very nice aroma, quite fresh and intense. 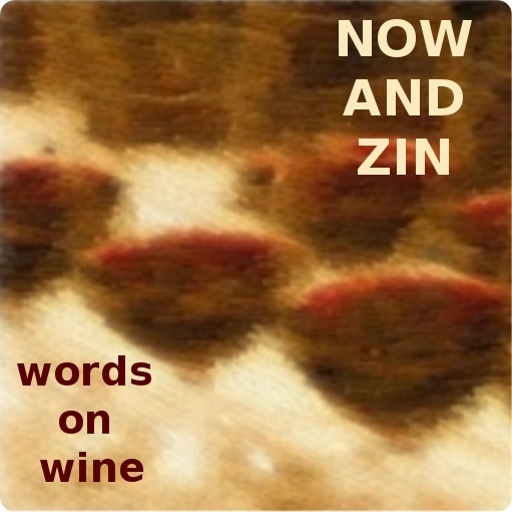 The palate offers more apples, and a generous amount of bubbling action in the mouthfeel. As advertised, it’s dry, not sweet, and it went quite well on a warm afternoon with a fresh tomato salad. Do you know of any cider tastings in LA? Santos, you might try Vendome in Toluca Lake - seems like they do a cider tasting now and then, or at least throw a cider in to their beer tastings. Thanks for the plug! We have recently bought a press and have started bottling the cider in house! Therefore it will be available more consistently AND we have a few new types to try. I hope you enjoy your bottle! Do you mind if we share your entry in our facebook feed? Cider fans should take note! Glad to hear there will be more. Please feel free to share away!